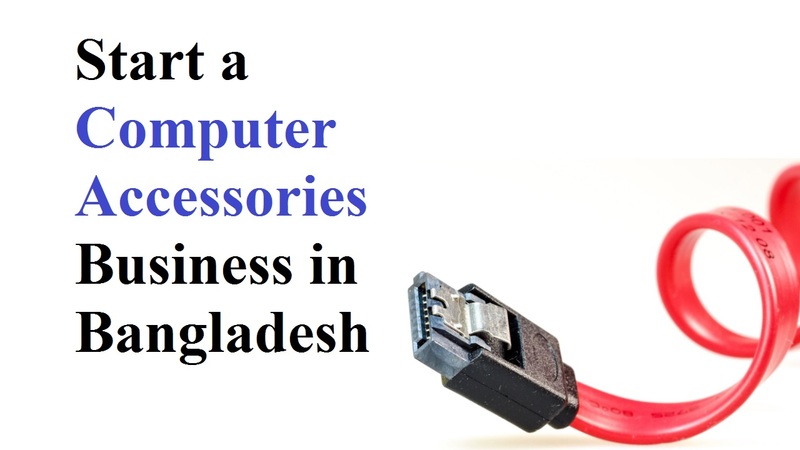 Although starting a computer accessories business in Bangladesh is an excellent entrepreneurial opportunity, important to plan out the business in detail before you start. It’s nothing surprising that the world has reached the stage where it has become compulsory that every home must have a computer. Also, there are computers in millions of home and adding the number every year when millions are being added. This is why the demand for computer accessories with these numbers of computers in use worldwide. Now, it’s the question of who to supply these computer accessories are to these billions of computer users worldwide. The answer is simple and that’s you and you can be one of them who do it. So, if you’re interested in becoming one of these entrepreneurs, why not follow us reading the entire content up to the end? Let’s see the overview of computer and the internet users of Bangladesh. There are more than 70 million active internet users across Bangladesh and the statistic was made in the last April 2018. As a pat on the back for the government’s ‘Digital Bangladesh’ aspiration, the development can be viewed. Because there are a very few countries in the world have such huge volumes of internet connections, this landmark achievement is a matter of pride for Bangladesh. It means that there are huge computer users in the country and they need either maintenance or replacement of various parts. So, you can imagine the view of numerous computer users who need computer accessories and it can be one of the profitable businesses in Bangladesh. These are all you may consider as the starting point of the computer accessories business in Bangladesh. As long as computer exists in this world, demand for computer accessories business will always be there. And we can say it definitely that making huge sells and huge profits on a daily basis, thousands are already doing this business in Bangladesh. As a result, starting a computer business requires many of the same skills required of any other small business field beyond keeping up with changing technology. Although it looks easy to start, you need a clear business plan, a smart marketing strategy, and outstanding customer service. Well, let’s know the steps how to start a computer accessories business in Bangladesh. You should always start by developing a detailed business plan, no matter what business you are getting into. What a business plan does is that it’ll describe the nature of your business and the products/ services you’ll offer. It also comes with your budget, marketing plan, and target customer base, and project your business’ growth. Moreover, when you have a good business plan, it’s the guidebook for your business’ development and your “sales pitch”. You must consider the place where a lot of traffic comes for different purposes. For a computer accessories business, your business location is as vital as you drink water. For example, you can’t live without drinking water and your business can’t run without a proper location. If you’re in a well-placed storefront, it adds to your visibility and helps legitimize your business in the public’s mind. In the business world, visibility is much important, especially, for the businesses those are related to the sells. This is because a perfect business location is something more than you need to start a business venture. It’s a good idea to find out how you will fit in the competitive landscape long before you open a computer supplies, parts, and accessories business in your area. But, in this current trend, there is no way to find out competitors in your area of the similar business. It may be wise to consider starting the business in a less competitive marketplace if there’s too much competition. That’s why you really ought to speak with somebody who is already in the business if you’re interested in starting a computer accessories business. Also, you should think again when you think owners of nearby computer supplies, parts, and accessories businesses will give you advice. But, when they realize you reside far away from them and won’t be stealing their local customers, they may be more than happy to give you a few tips. Because your brand is just beginning to establish an identity in the marketplace, your company are at a competitive disadvantage as an emerging computer accessories business. So, when you want to get an established brand is a common strategy among growth-minded computer business, you should buy a business. The best you can hope for is to gradually develop brand awareness over a period of months and years as a startup. But, you’ll be highly trusted by your target market when you can put you at the helm of a brand. The next thing is to find a way to reach out to customers after having you shop set. There is something more than having a shop and you can’t archive that while just seating at your shop. You won’t be happy with yourself nor your business if you are not making any sales. Although everyone knows how to set up a shop, it’s important to know how do grow your computer accessories business is the major goal. You should take initiates like business cards, banners, flyers, using social media, online presence etc to market your business.